Work one on one with master coach and former therapist Anita Flowers to make big, long lasting change in your life. No programs or pre-set plans. All coaching is individualized to your goals and challenges. Finally lose the weight. Start your new business. End the bad relationships. Make 2019 the year you come alive. Most of us expect change to happen overnight. We see a Flatten Your Abs in 7 Days Challenge posted on Facebook or even a 30 Day Declutter Your Whole House Challenge on Instagram. Those short challenges can be a start and an inspiration but as soon as the challenge is over, we often return to our flabby, cluttered lives with no real change in our behavior or our life. Real, long lasting change takes time, hard work, accountability and know how. That’s why I’m offering A YEAR TO CHANGE YOUR LIFE. It’s not a course or a program, not a one size fits all package. It’s not a video series or a podcast. It’s not an e-book or even a real hard copy book. It’s not a 30 day challenge - you won’t receive a mass email everyday. So what is it? Real, long lasting change takes time, hard work, accountability and know how. You can do it. A Year to Change Your Life begins with an in-depth assessment of your needs, values, personality traits, blind spots and strengths, and unachieved goals. You will complete the assessment online and receive a 27 page assessment report detailing your personality strengths and challenges, prioritized needs and values and lifestyle patterns. This is the first step in creating an action plan toward achieving those goals you’ve dreamed of for years. Each week, you will meet by phone or email with Anita to do the intensive work to overcome obstacles, break the procrastination habit, and take weekly steps toward meeting your goals. Between sessions, Anita will be available for email and text support when needed. The entire program is individualized - no prerecorded videos or generic workbooks. No courses or mass emails. It’s all about you and your goals for the year. It’s also very confidential. Each session is completed by phone or video chat in the privacy of your own home. No group meetings or even the worry of feeling exposed in a waiting room for an appointment. Your privacy is 100% guaranteed. Learn to identify your own roadblocks and obstacles and develop strategies to move beyond them. Break your procrastination habit with small steps, real accountability and clear deadlines. Develop the “stick to it-ness” that is missing in so many do it yourself programs. What do YOU want to accomplish? We’ll make it happen. 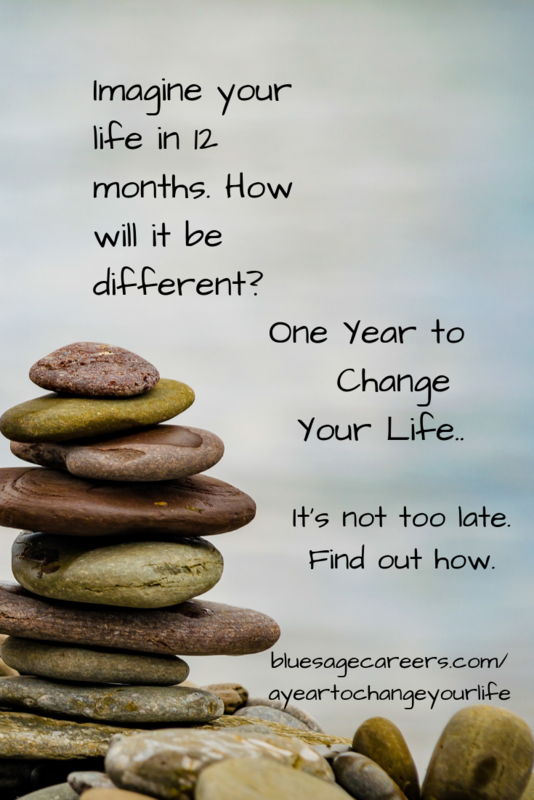 Imagine your life in 12 months - a year from now. How will it be different? What changes will you make? The time is now and space is limited. Anita works with a limited number of clients in A Year to Change Your Life. Contact Anita to schedule a free informational phone call and to secure your spot. take a year. change your life with anita. Anita Flowers, MA, BCC, is a board certified life and career coach with a masters degree in Clinical Psychology. A little different than most life coaches, Anita’s background in clinical psychology and years of experience as a counselor gives her a rich understanding of human development and family dynamics. Her work history includes 13 years working with an international business company and 12 years doing individual and family counseling as well as career counseling. This blend of counseling and business experience gives Anita a unique perspective on the world of work and life. Anita works with people literally all over the world to help them create change and discover a life they love. Take a year. change your life. real lasting change takes time, accountability, hard work and know how. Contact Anita for a free phone call and get all your questions answered. Are you ready to make a change? Discounted introductory pricing ends April 30, 2019. Sign up before April 30 , 2019 and receive introductory discounted pricing of $225 USD per month (subscription plan) or pay annually for a 15% discount (savings of $405). It’s the best master life coaching deal you will find anywhere. Sign up here for a free informational phone call and screening assessment to see if you are ready for A Year to Change Your Life. Space is limited. A Year To Change Your Life Coaching package includes 12 months of coaching at $225/month plus 3 assessments: The coaching package can be purchased as an annual agreement for a 15% discount. CPI 260 Coaching Report - Identifies strengths and blind spots.